Designers, have you ever found yourself moving the CMYK dials mindlessly back and fourth, hoping to land the perfect colour harmony for your next design project, but feel they just don't want to land as naturally and as beautifully as you'd like? 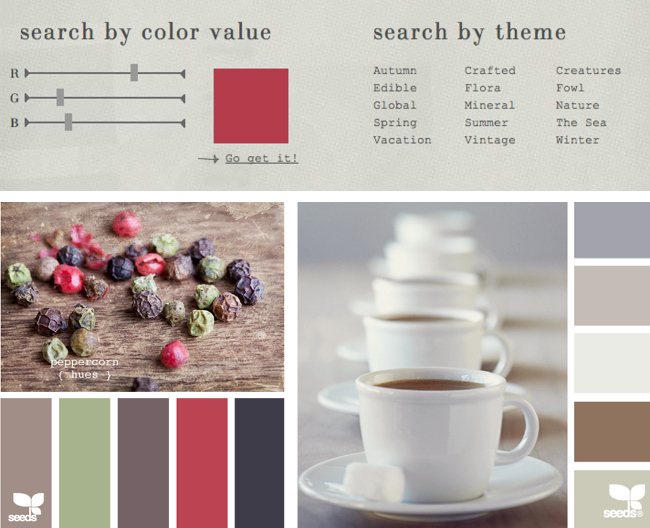 I found myself in that situation recently, and soon after came across these wonderful and very helpful colour blogs, which I'm certain will prove to be extremely useful for future design projects. At the top we have Design Seeds, which displays palettes inspired by God Himself, and the amazing combination of hues which can be found in winter vegetables, moments of stillness in the African countryside... and some human-made beauty. What I love most about this site is that you can search for the colour by hue which you can define as a RGB value, as well as browse by theme. 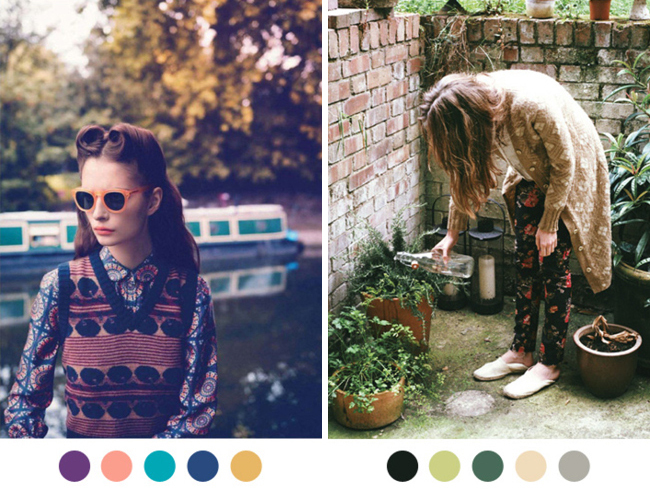 In the middle we have Color Collective, which is one person's collection of palettes derived from mostly fashion shoots, where someone else has obviously already curated the colour. It is handy having it all in one place, though, and I like the way that the mood is set by the colour combinations. Lastly there's Just Jaime – not offering as many and without links to photography, but a lovely little collection nonetheless.